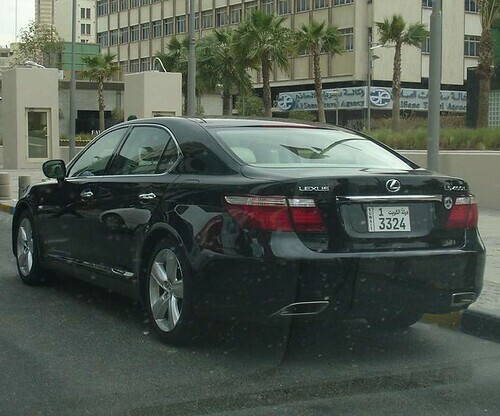 i spotted the new Lexus LS460 parking infront of Al-Salhiya in Kuwait city with the new number plates on it, i didn't see any ads for this beauty in the papers on on TV, i didn't see it in Al-Sayer show room either, well, hope they don't overprice it like the Benz did with their S-Class!! for more hi-res images for this car click here. for more info about this car click here. 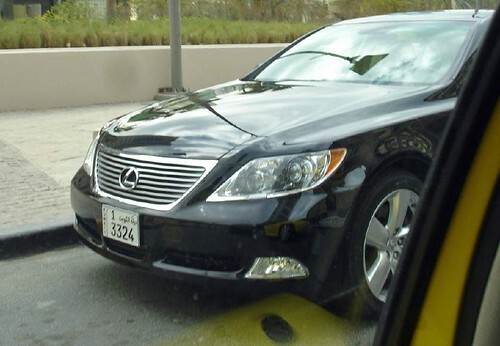 update: my dad just told me that the car is in al-sayer showroom now, he saw it when he was there looking for a car for mom, and btw, we took a new ES350 for her, oh well, i'm still waiting to graduate so i can buy my own car.. so keep on waiting !! The showroom should have a couple; they were in the warehouse until the end of January. The car is amazing from the inside; especially for the passenger sitting in the back. The rear seat's leg fully raise; with a full massage (many many options). The stereo system is unbelievable as is the screen in the back (it fold down and you can even see the nav-screen). As for driving .. its something else, very silent. The 8th gear allows driving at 140km+ on very low rpms. ma atwa8a3 enha to9al 29 grand ! 9ej enha ahda saiyaara bel 3aalam ! wel interior malha 3ajeeb ... bs walaw !